Projects from my DLH Friends! I've been trying to ramp up my efforts to get pictures on every page of the site (impossible job) and recently opened up my D. Lawless Hardware Friends group to help me out. In the group I'm giving out or discounting hardware to anyone who wants to join and post up their projects after the fact. Below are some examples of the great shots I'm getting back every week! You can click through with any image as well as the links to see more work from each of my friends! Next up we've got another project using our label holders! This time from Sandi at Blah to Ahh. 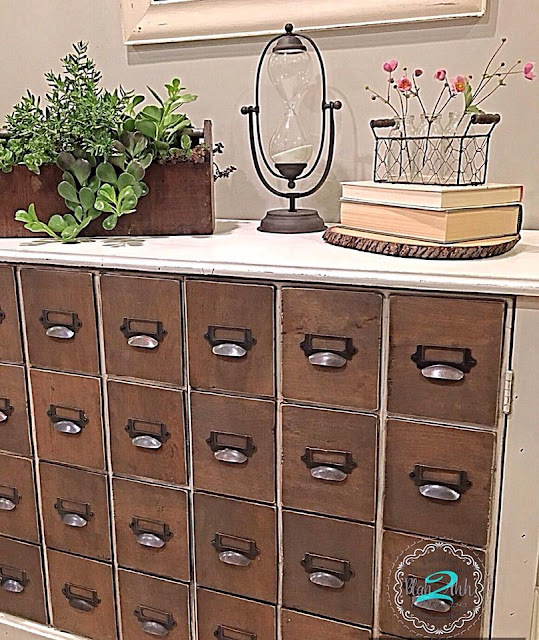 She used a ton of our cup pull label holders on a similar makeover to the one above. Beautiful work and staging as well! Since, as I keep saying (lol), they are so popular, I'll just stick to the label holders for this post. 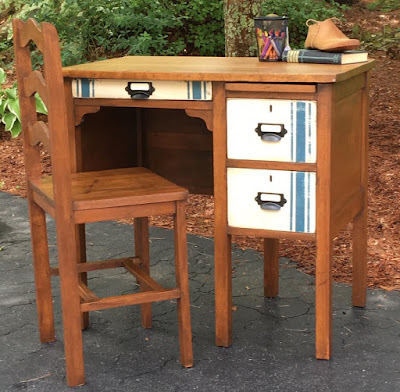 Next up is a nice little desk makeover from RE-LOVED Treasures that uses just a few of the label pulls to add a touch of detail and function to the drawers. I'd like to show more, but I also want to keep the blog moving with several posts a week so I'll leave it here and come back with another group of related projects next week. 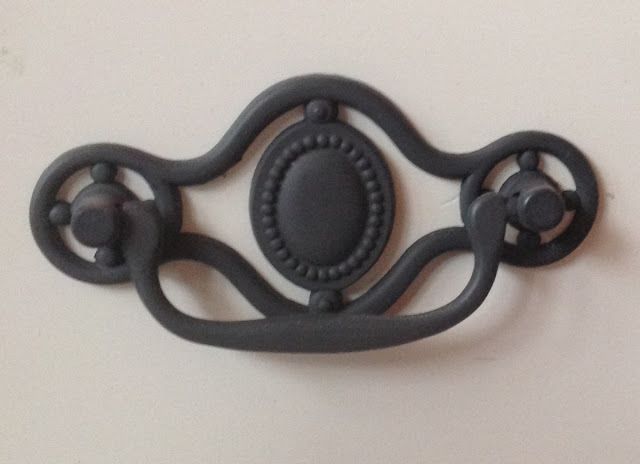 I recently gave some of our wood appliques to about five or six members so I'll have a post featuring those projects soon! It's been about five months since last post and I'm happy to finally get back to posting. We did a minor blog redesign and reorganized and here we go! 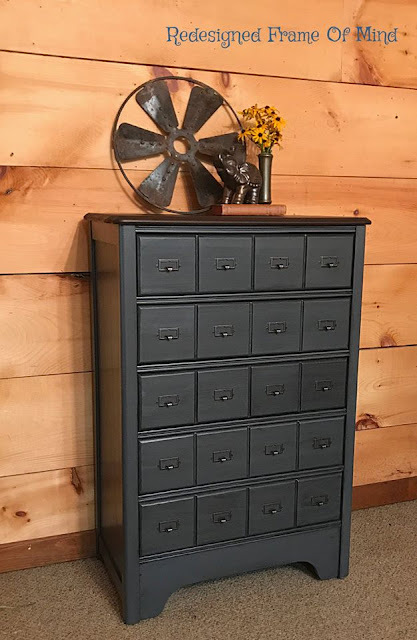 I'm happy to show off some great photos from a recent project by a member of our D. Lawless Hardware Friends Facebook group. Colleen runs Painted Gem Creations as a website and a Facebook page and I'm very happy to have gotten to know here and work with her. 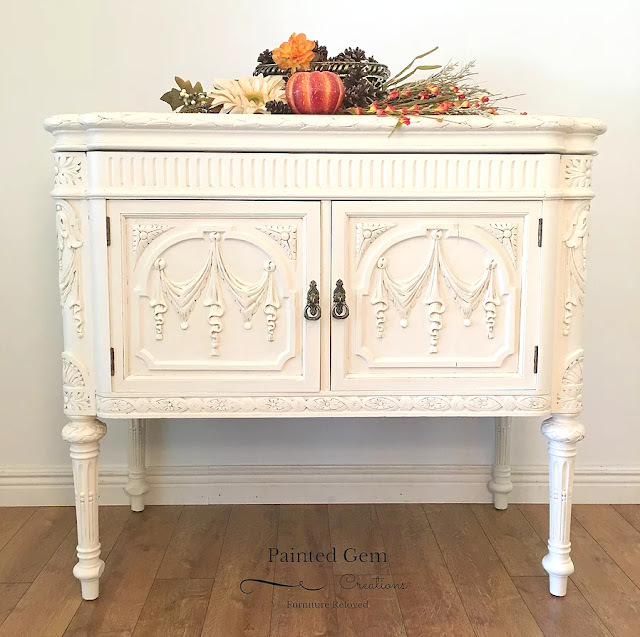 In the following preview you can see this antique english drop pull in use on a beautiful antique phonograph table makeover. You can click over to her website to see the post here. We are sooo lucky to have these pictures, as anyone can see by clicking through to the product page, our pictures was horrible! 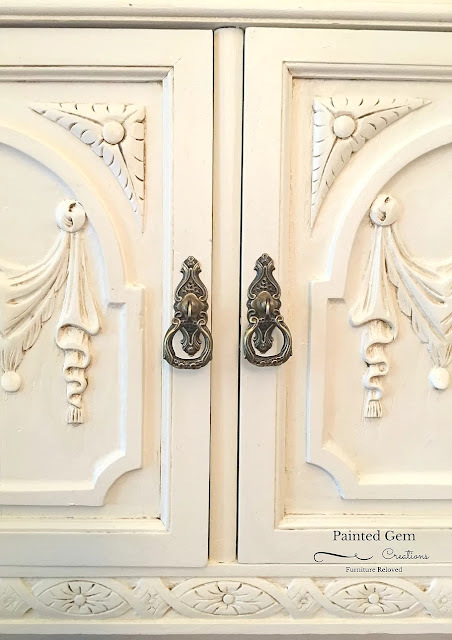 I'm only previewing a nice shot of the hardware and a finished shot of the full thing, but there is a whole article and the entire DIY process on Painted Gem Creations blog. Please click over and support our independent furniture designer partners!! Hopefully I post way more often the rest of the coming year. It will be easy if I keep getting projects like this! !